The holidays are upon us, and for many, it is a joyous time filled with many wonderful things. You enjoy special time making memories with friends and family. You might spend time baking, cooking, and eating delicious and indulgent holiday favorites. You and your family might also spend time searching for and buying the perfect gifts for each other to show how much you care. You might also hop from party to party to celebrate the season amongst close family and friends. Your child comes home from school after receiving a lower grade on a project than she expected. She feels that she did a great job and is angry and confused because she does not feel that she was graded fairly by her teacher. There are three ways she can respond to this situation of perceived injustice. She can choose to be passive, aggressive, or assertive. A child who is passive might refrain from communicating with her teacher altogether for fear of the way she might react or respond. 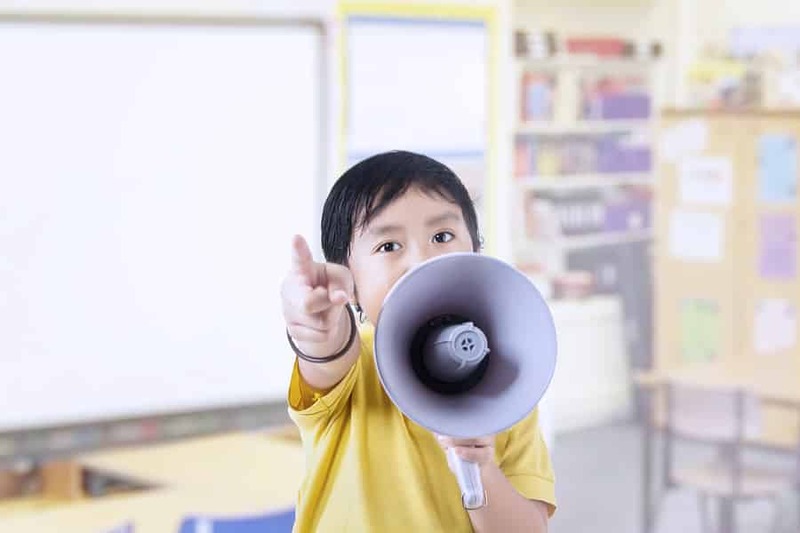 A child who is aggressive might yell at the teacher or interrupt the lesson to accuse the teacher of unfair treatment. As you can see, these two extremes are not the most adaptive way of communicating. Both adults and children can have initial difficulty with assertiveness. However, like any skill, with practice, it gets easier. For children, assertiveness skills play a very significant role in a variety of situations, from the playground to the classroom to a sleepover; from bullying to teasing to peer pressure. For adults, learning to advocate respectfully for yourself in the workplace, in your family, or with friends is paramount to establishing healthy relationships and maintaining high self-esteem. Sometimes, we tell our children to do things without offering them much of an explanation. “Be assertive” is something that a child might not necessarily know how to do without your help. Ask your child about situations with friends or at a school where she has struggled with assertiveness. Maybe she was excluded from a game at recess or teased on the bus. Role-play a healthy conversation where you respond in an assertive way. Switch roles and have your child practice being assertive. As parents, modeling appropriate behavior is one of the most effective ways to help our children learn how to conduct themselves. Assertive communication skills are no different! It is important that your child sees you standing up for yourself in various situations, especially where your opinion might not be the most popular. When you practice statements like “Thanks for sharing your perspective. I have a different opinion, but now I understand yours,” it teaches your child that it is okay to disagree, but it is important to stand up for yourself respectfully. By learning and practicing how to communicate assertively, you and your child will gain insight into yourselves and each other, tolerance of others and their ideas, and confidence in your ability to speak up feel heard.